Homemade trail mix is superior to store bought for many reasons. You control the individual ingredients (no more picking out only what you like from expensive store bought mixes). 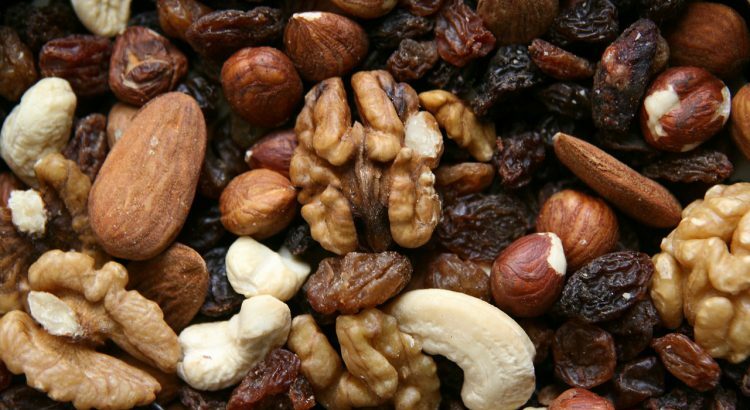 Use this recipe as a basis for individualizing your trail mix. And get your kids involved too! Place coconut flakes in a small skillet on the stove. Toast over medium-low heat, until lightly golden and fragrant, gently stirring often. This should take only 2 or 3 minutes; watch the coconut carefully so it doesn’t burn. Let cool before mixing with other trail mix ingredients. Place toasted coconut and all remaining ingredients in a large bowl or storage container; stir to mix. Store trail mix in an airtight container at room temperature, or divide into individual portions in zip-top baggies. A heaping ¼ cup is the perfect serving size. Enjoy!